It should come as no surprise that we are big fans of H&M homeware. Stylish, on-trend and inexpensive, it ticks all the boxes. 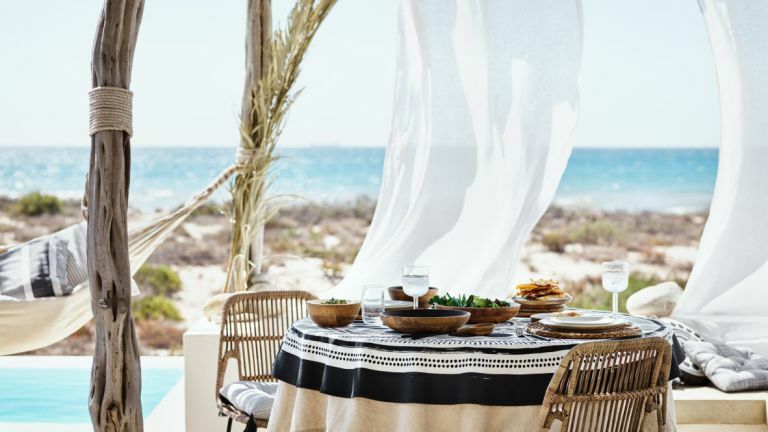 So you can imagine our delight when they launched their new outdoor dining range. Okay, okay, in reality, it'll probably rain all summer, so you'll be happy to know that the picnic blankets have a water-repellent plastic backing and carry strap with a hook and loop fastening for a quick rain-induced exit; the cool bag has an insulating foil lining to keep your drinks cold; and tough wooden bowl and plate will stand up to use outdoors but look fab indoors when the chillier weather inevitably descends. So, why wait to check out our favourite must-have pieces from the collection? We promise they will have you throwing impromptu, boho-chic garden parties all summer long.